What’s in a name? For the Rolesor, it’s not much more than just putting two and two together. 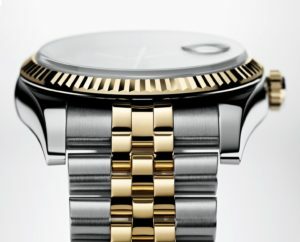 Rolex’s Rolesor model is a two-toned watch made with half gold and half steel. So where’s the name come into play? 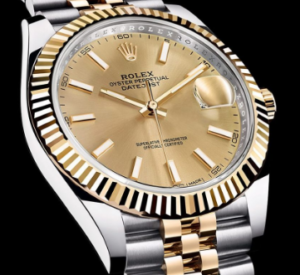 Rolex is of course the famous watch company, while “-or” is the French word for gold. It all makes sense, right? The Rolesor first appeared 15 years after its patent on the Oyster Perpetual Datejust in 1948. For Rolex’s purposes, the crown, bezel and inner bracelet links are golden, while the actual case and outer links are steel, giving the watch its iconic, contrasting gold-silver look. Mixing elements for form and design isn’t native to Rolex’s Rolesor line. 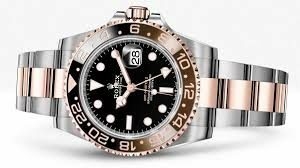 The company also has patented “Rolesium,” or the mixing of stainless steel and platinum, which it uses on its Yachtmaster line. Anyone can own one. You just have set your priorities correctly for a Rolex. But if everyone had one, you really would ‘t care if you had one or not. Now that is a beautiful watch!!!!! I’ve always bought a watch for its movement. Rolex certainly has some of the best. I’ve got a 1963 1570, 1980 ( I think ) 3035, and a 98 3135. My next will be I hope a 9001 in the sky dweller. So are you saying that all Rolex DateJusts with two-tone gold case and Jubilee band are considered Rolesors? I never knew this. Mark educates us again. I love my SS and Gold Blue face Submariner and my wife loves her SS and Gold Black face Datejust. The latter just serviced by Mark and running like new. Thanks again.